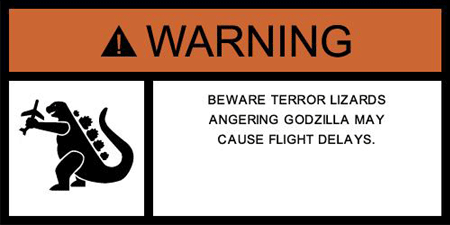 From del.icio.us/pop comes http://www.warninglabelgenerator.com. Pick your favorite nuclear, biohazard, or acid burning fingers danger emblem, add some appropriate text, and you end up with choice beauties like this one. You are currently browsing the Dr. Robot Nerd School blog archives for November, 2005.